LGBT people will have louder voices than ever this election season, and students at Northwestern University in Evanston, Ill. will be ready to hear them. An alumnus of Northwestern’s Medill School of Journalism has made a generous contribution intended to help make the journalism curriculum more LGBT-inclusive. Northwestern University’s chapter of NLGJA is using this grant to launch the Medill Equal Media Project, a chance for student journalists to report on LGBT issues over the summer in an engaging, meaningful and influential way. Student reporters will apply for grants to pursue summer reporting projects pertaining to LGBT issues in the 2012 presidential election. The final product: a student-designed web site loaded with information about the impact of LGBT people, issues, and groups during the election. The site will launch in the fall and hopefully serve as a resource for journalists, students and voters in the wake of the election. Social issues like marriage equality have been particularly prominent in this election season, but competing media sources, blogs and campaign slogans have made it increasingly difficult to know who’s telling the truth. With a team of journalists committed to fair and factual journalism, the Medill Equal Media Project will clarify these inconsistencies to paint a complete, correct picture of the political LGBT scene. 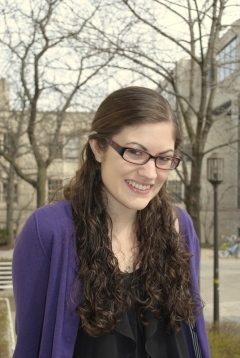 Guest contributor, Camille Beredjick, serves as editor-in-chief to the Medill Equal Media Project and co-chapter president for the NLGJA Northwestern University Chapter. She can be reached at cberedjick@u.northwestern.edu for more information, including how students can apply for the grants.